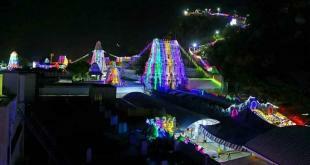 Tirupati, 3 February 2015: The five-day annual Theppotsavam also called as Float Festival at Sri Govindaraja Swamy Temple in Tirupati concludes here on Tuesday. Theppa means boat, Boat will be decorated with in Pushkarini and Festival will be conducted on the top of the decorated boat. 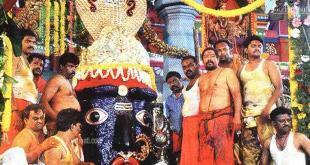 The processional deities of Govindaraja Swamy along with His consorts were taken around the mada streets encircling the holy shire in grand procession before reaching the venue, Sri Vari Pushkarini (temple tank). Later, the deities were mounted on the colourfully illuminated Float, and were dragged around the holy tank amidst great religious fervour from 6.30PM to 7.30PM. Tens of thousands of devotees congregated on the holy steps of the temple tank, hours in advance to enjoy the colourful festival. 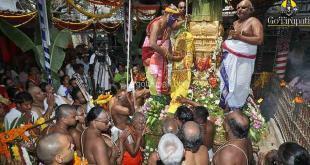 While asthana vidwans played the nadaswaram’ the temple priests recited verses from the holy scriptures. The entire programme lasted for more than one hour.